Selling one’s property is not an easy task; it can be a stressful period and quite a cumbersome task, especially if you are looking for ways and means to sell your house fast. Depending on several conditions, such as the state of the economy and the real estate market and even the location of one’s home or property, the time taken to complete a sale will take a few months to say the least. 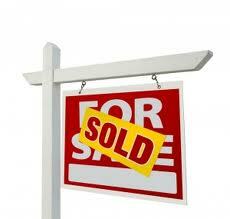 There are some specific steps that any real estate agent will go through when he or she wants to sell a property. From the initial survey and paperwork to the final sale, a property can take 6 months or so to be sold. However, if the objective is to get a fast cash sale on your property, then there are a few things that one can do. With the help of a real estate agent or firm that knows the local market and has a ready database of prospective buyers, one can hope to make a sale really quickly and make it on the expected terms and conditions as well. Doing some homework, literally, will also help with speeding up the process of sale. For instance, keep documents pertaining to the house, such as blueprints, photographs, schematic plans and so on, readily accessible at any point in time. When the real estate agent asks for the same, you will be totally prepared. It may also pay to keep one’s home in a clean and neat condition. Buyers can be found directly as well. By distributing information about the sale of your property, you may be able to attract buyers who may be keen to look at the house too. And if the house has been well-maintained and complete with well tended surrounding areas, then it is likely to see the sale happening quicker than expected. When you are looking to sell your house fast, you can also look for opportunities from real estate agents and firms who will be ready to buy your house from you rather than facilitating a sale with a third party. This works out as a great deal for both the seller and the buyer, as there is no property broker to deal with and also the brokerage costs. Yes, you are right to think the aim is to sell my house fast, but it is better not to settle for the very first offer that comes along. Unfortunately, there are plenty of scams that are floating about in the market. One’s interest in selling a house as quickly as possible should not lead to falling for a scam that finally divests a home owner of his property and leaves him with lesser money than anticipated. Advertisements, Internet websites and even word of mouth referrals are the best way to attract a cash buyer for one’s house. Finding a cash buyer will mean that the buyer does not have to spend any time in getting loan documents or going through lengthy processes of loan paperwork. He has the cash to pay and will pay the same for the property.